Wilcox Park is grateful for the dedicated volunteers whose contributions help maintain the park's gardens and trees. New members are always welcome to join the Wilcox Volunteers. The work our volunteers do gives them instant gratification. Making a corner of the park just that much more beautiful has its rewards that can be clearly seen and appreciated by everyone. Volunteer time is flexable and mornings are usually preferred as it is cooler working outside then. Tasks are different with the seasons and include planting, pruning, fertilizing, weeding, mulching and watering. Time spent is marked by friendly conversations. We all work to our own abilities and any contribution, big or small, is appreciated. Other volunteer activities include planning for events, propagating plants, educating the public and plant labeling. 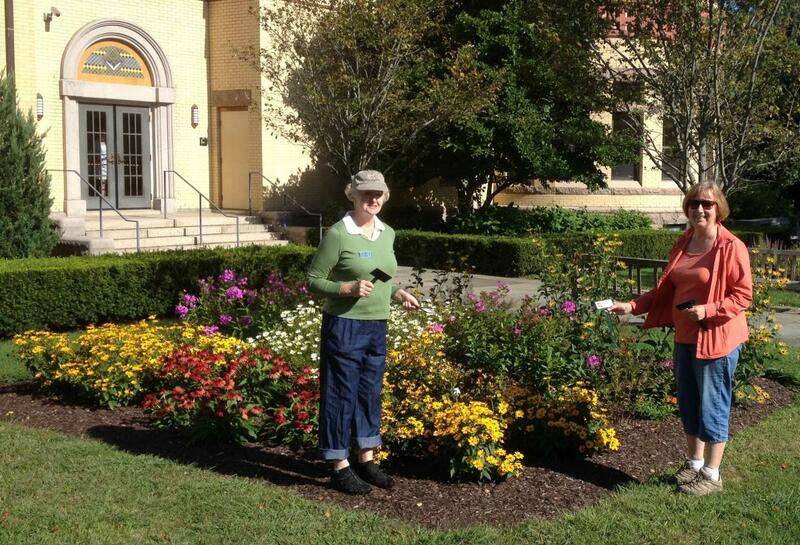 Members of the URI Master Gardeners are amoung our volunteers and their knowledge and enthuisiasm is contageous. Each individual brings something unique to the group, weather it is skill in gardening, experience in construction or just the willingness to help. Park volunteers accomplish so much for the park while at the same time enjoying a beautiful setting, getting fresh air, learning about gardening and enjoying each other’s company. Volunteering times are flexible. Currently we have volunteers that meet on Tuesday, Thursday and Saturday mornings. Other individuals come on their own schedules.